You know sometimes how you look about and everyone seems to be wearing the same thing, the same styles, the same colors? 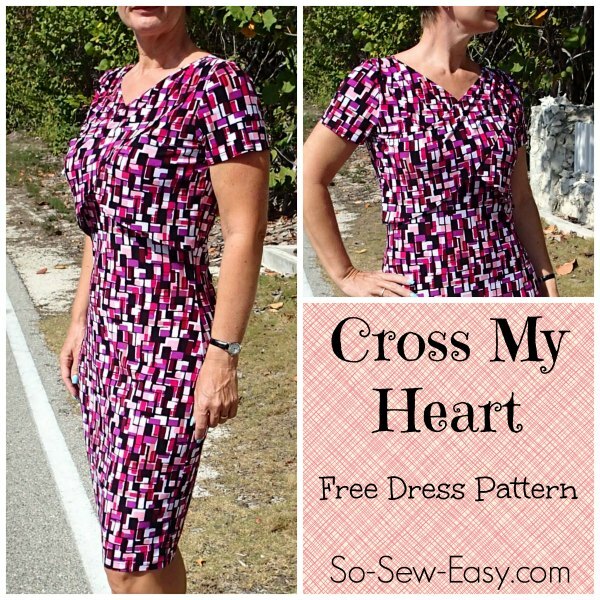 The Cross My Heart free easy dress pattern has crossover pleated drapes from the shoulders that are caught into the side seams just under the arms. It creates a modest v-neckline and frames the face, hanging loose from the bust to emphasize the smaller waist. It’s certainly unique!